Childeren’s Day is always a special day for us…it’s the day dedicated to the young, bright, shinning and beautiful students all over. 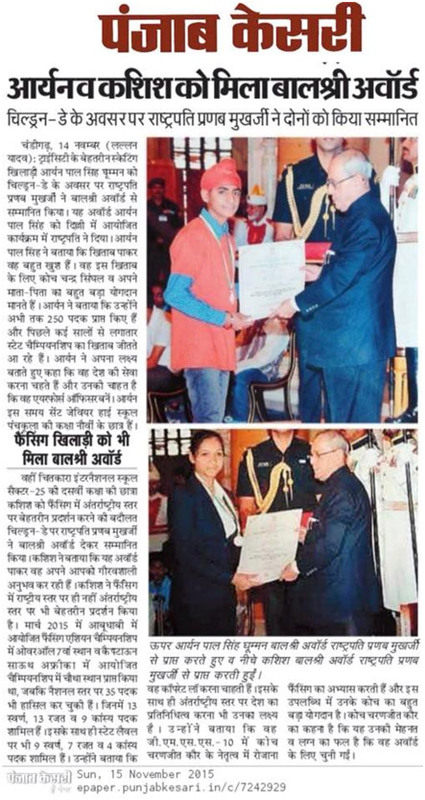 But this Children’s Day is more special as one of our student; Kashish of Grade 10 would be honoured by Mr. Pranab Mukherjee, President of India with a special achievement award in the field of sports. 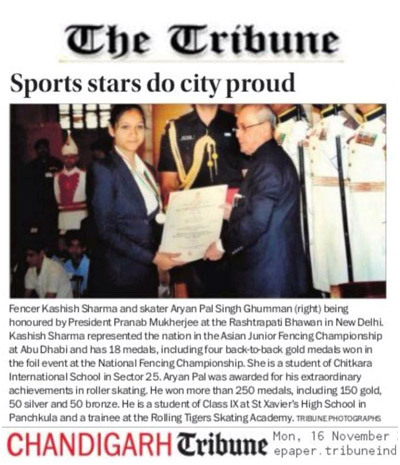 She has scaled great heights at this tender age in fencing and is part of the Indian Squad. Way to go Kashish!! Way to go! !